LinkedIn has recently started rolling out its new and improved profile layout, which some even say looks a lot like Facebook. Their new, clean design is highly focused on user experience, which is an important design concept that many companies are starting to focus on when it comes to web design. Below, we’ll detail a few of the site’s latest features as shown on LinkedIn’s blog, and explain how its new page design can benefit you and your company’s online experience. One of the features that is most similar to Facebook is LinkedIn’s upgrade to a “real-time” messaging interface. 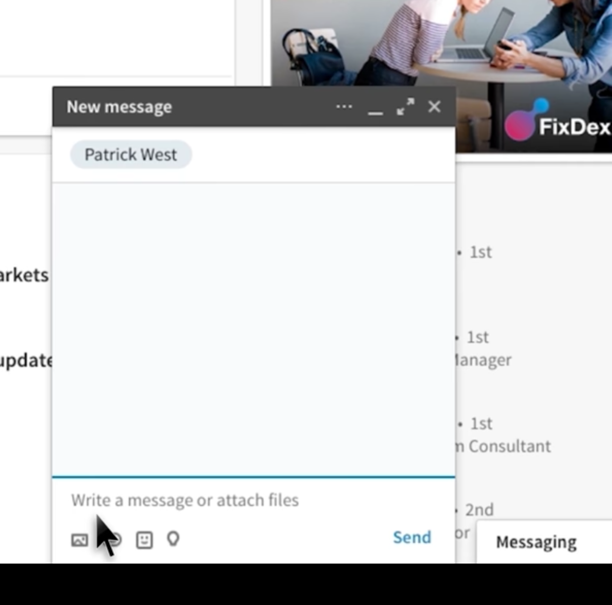 This means that no matter what screen you are on within the site, you can concurrently message any of your connections and the conversation will stay in place in the bottom right. The top navigation bar now features seven targeted pages that are beneficial in streamlining the LinkedIn experience. The navigation bar now includes Home (your home news feed), Messaging, Jobs, Notifications, Me, My Network, and Search. LinkedIn has also started using a new combination of feed algorithms that are designed to help you get the most out of your timeline. With this change, the site offers filters to let you see the content that is most important and relevant to you based off of your connections and liked pages. One of the better additions found in the LinkedIn update is that you are now able to see who is reading and engaging with the content you post on your profile. You can view the company information, job title, and the location of the person who is interacting. This can be extremely beneficial when seeking out employment opportunities, branding yourself, or keeping in touch with contacts. With just one search bar at the top of every screen, you can search for people, jobs, companies, and groups, and eventually you will even be able to search for specific posts. You can receive alerts for job openings by searching for a specific job function and clicking on “create search alert.” You then opt in for emails or text messages. Note: LinkedIn is slowly rolling out the new design across its website, with some company pages such as Canon already having the new look. And don’t forget to go follow Sixth City Marketing on social media @sixthcitymktg to see new posts and much more!